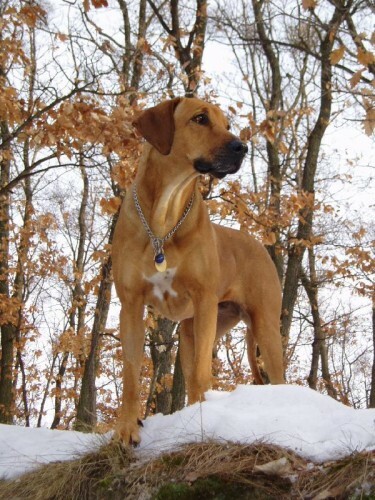 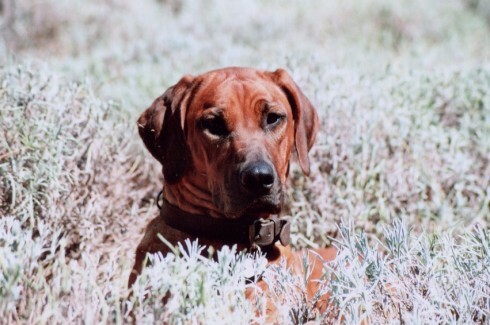 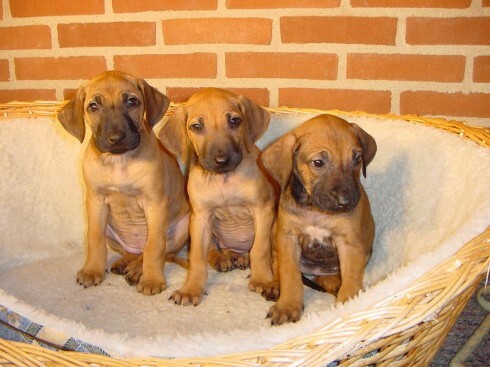 The Ridgeback was bred to hunt game, but also to guard homes and protect families. 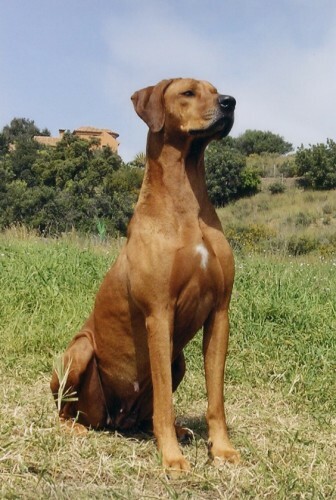 This is a strong dog, but one who wants to please. 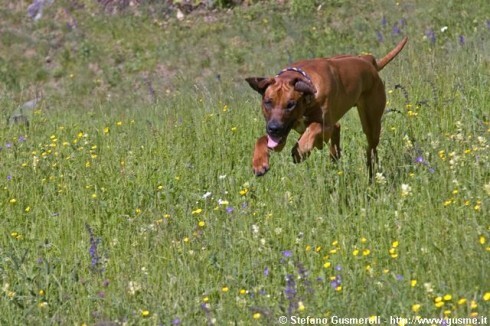 He is proud, dignified, and courageous, devoted to his family, and protective and loving of children. 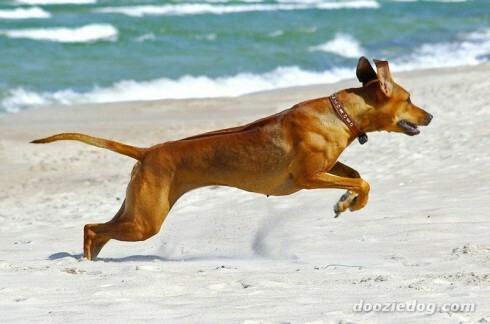 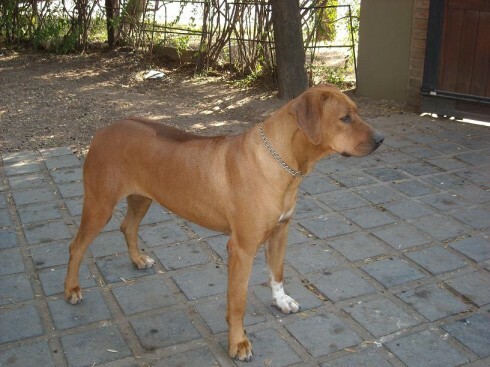 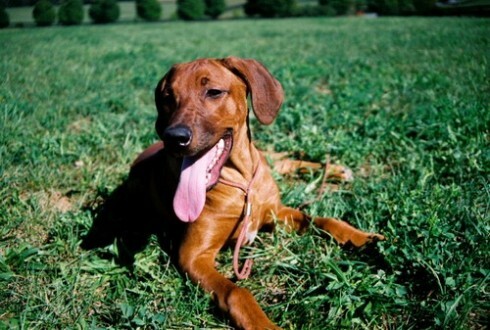 The Rhodesian Ridgeback is a large, muscular dog originally bred in South Africa to hunt lions. 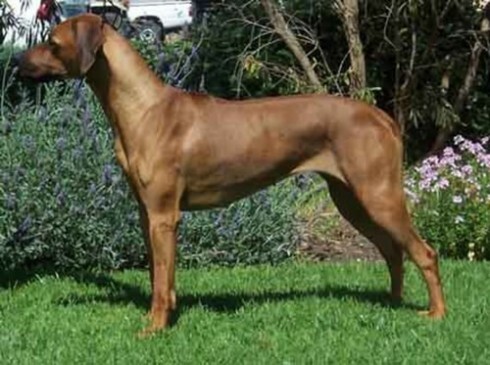 It is also known as the African lion hound. 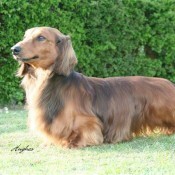 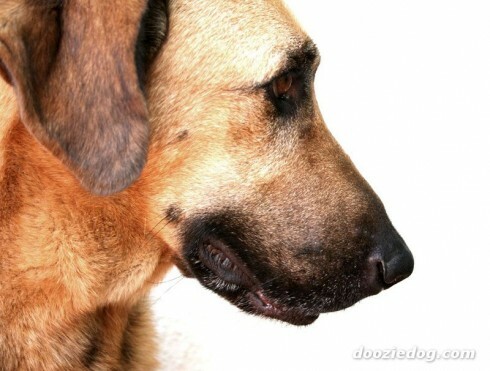 The peculiarity of this breed is the ridge of hair which grows forward on his back. 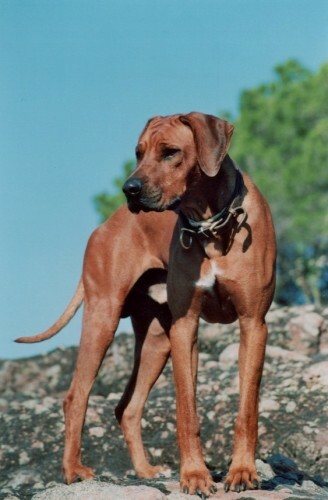 In 1922, a group of Rhodesian breeders set up a standard for Ridgebacks which has remained virtually unchanged ever since. 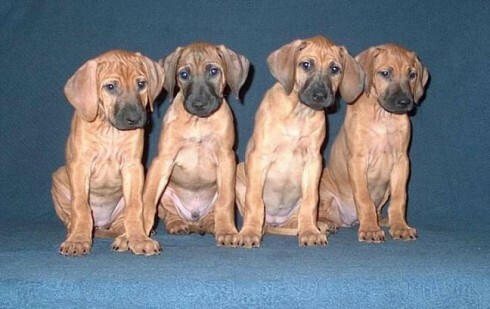 So you want to own a Rhodesian Ridgeback? 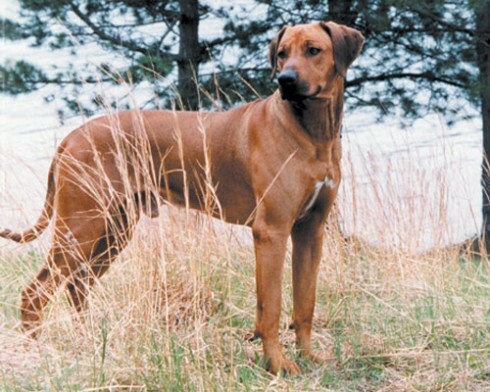 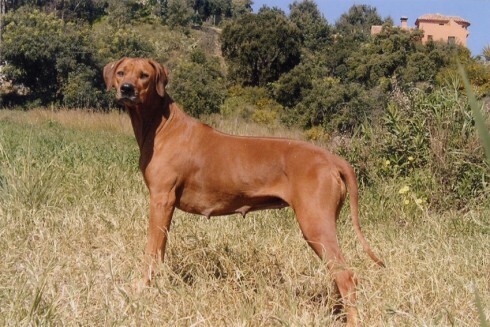 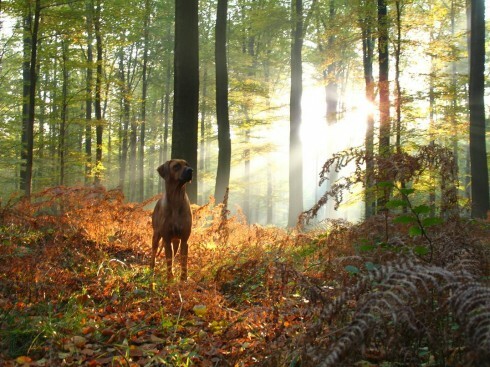 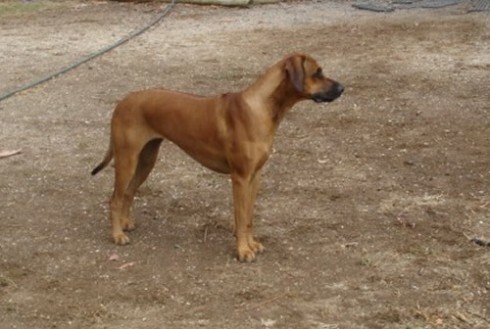 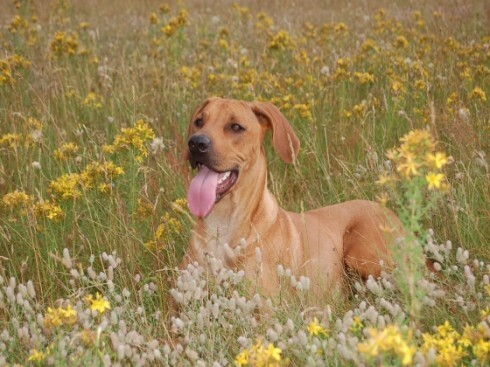 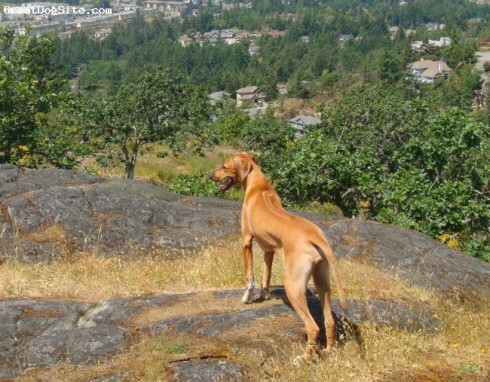 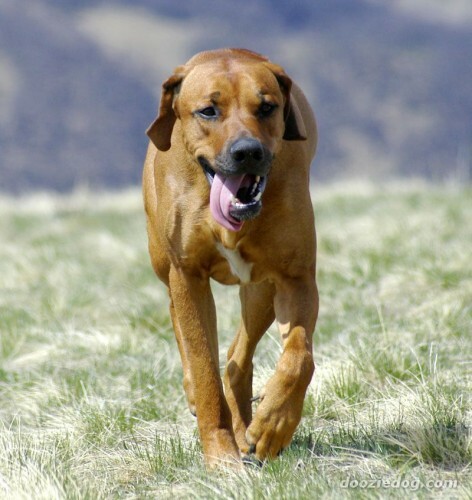 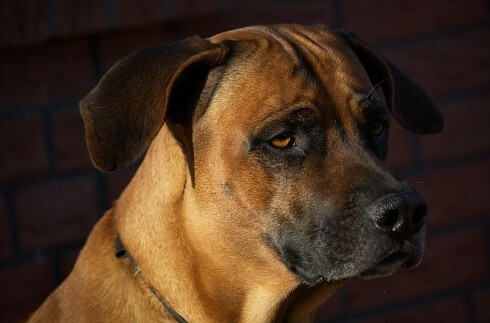 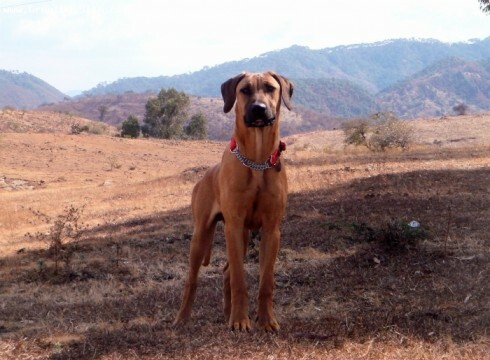 The Rhodesian Ridgeback is a breed of dog able to retrieve, track, hunt game, and protect property. 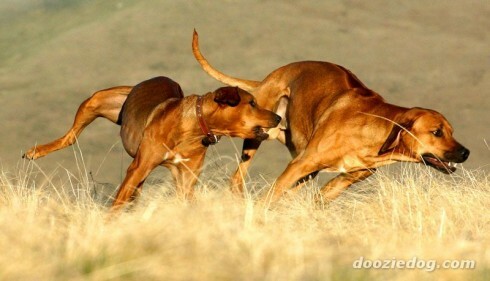 Rhodesian Ridgebacks are remarkably clean dogs. 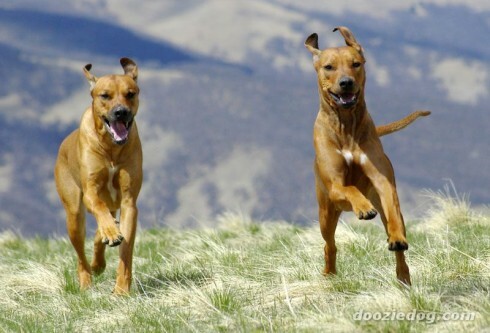 They are easy to keep as they are rarely noisy or quarrelsome, unless provoked. 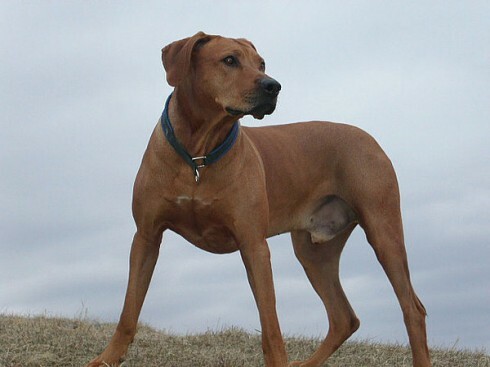 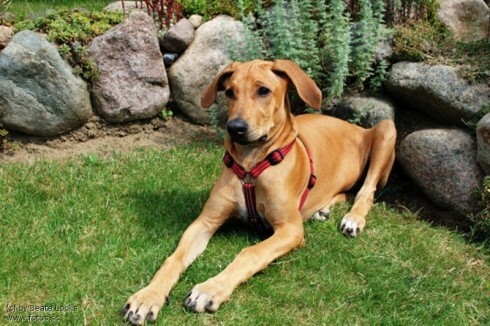 The Rhodesian Ridgeback is not the dog for everyone; he needs an owner who will invest the time it takes to build a bond of trust. 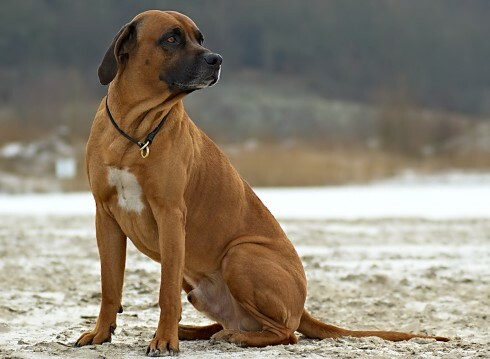 Peculiarity is the ridge on back formed by hair growing in opposite direction to the remainder of coat; ridge must be regarded as the escutcheon of breed. 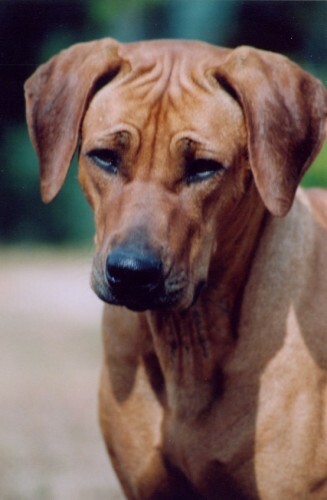 Ridge clearly defined, tapering and symmetrical, starting immediately behind shoulders and continuing to haunch, and containing two identical crowns only, opposite each other, lower edges of crowns not extending further down ridge than one-third of its length. 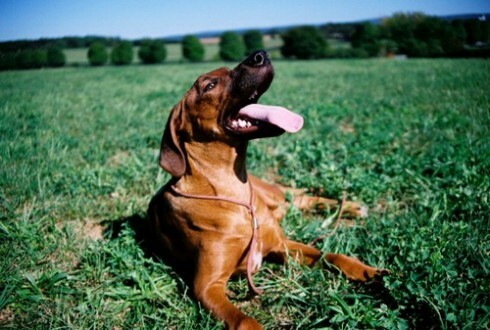 Up to 5 cm (2 ins) is a good average for width of ridge.